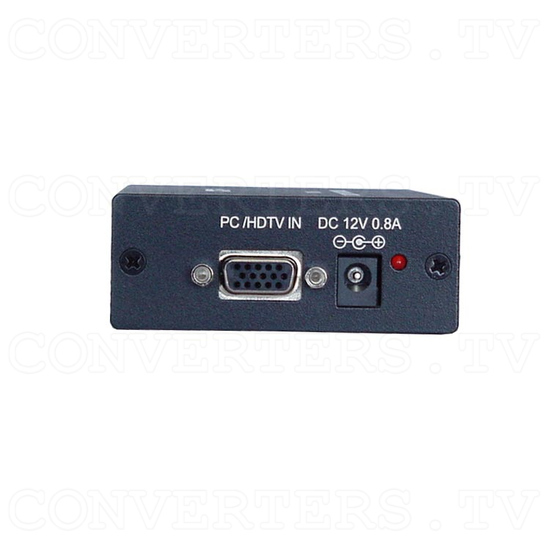 PC / HDTV to PC / HDTV converter CP-251F. This unit combines the functions of a video-scaler, scan-converter, and format transformer into a compact and durable metal housing with easy-to-use touch buttons. The CP-251F is controlled via push button and OSD menu. The controls include input/output setup picture adjustment, H/V phase adjustment, and many other advanced features. 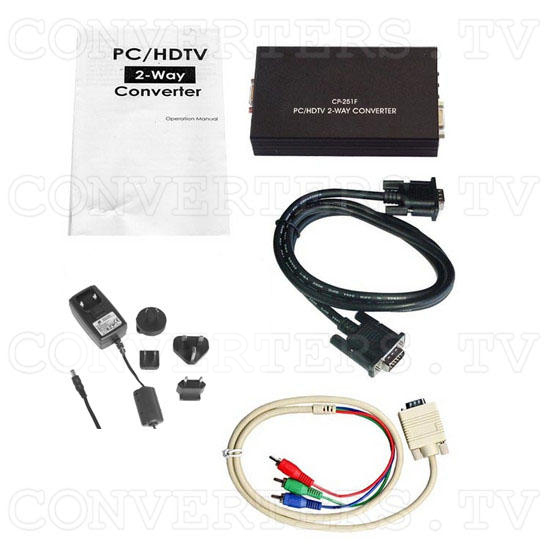 PC / HDTV to PC / HDTV converter CP-251F. 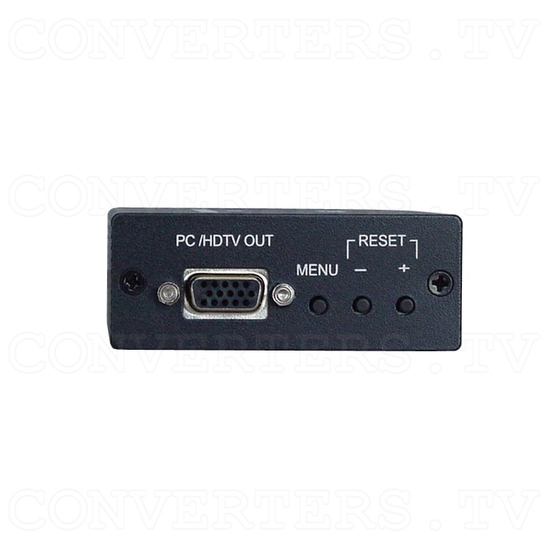 This unit combines the functions of a video-scaler, scan-converter, and format transformer into a compact and durable metal housing with easy-to-use touch buttons. The CP-251F is controlled via push button and OSD menu. The controls include input/output setup picture adjustment, H/V phase adjustment, and many other advanced features. 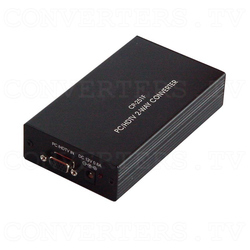 CP-251F is not only a video scaler it is also a scan converter and a format transformer. The resolution of any PC or HDTV inputs can be scaled up or scaled down to any other PC or HDTV resolution, along with its frame rate converted to a selectable frequency. Signal format conversion between RGBHV and YPbPr. Input Setup allows for fine-tuning the output picture to a best condition through the adjustment of ADC sampling clock, and phase. Easy to use push buttons and OSD menu control. 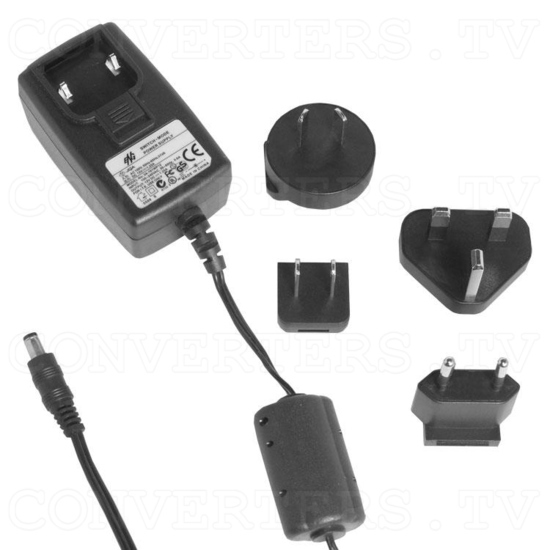 Input/Output: PC (15-pin D-sub cable), HDTV (15-pin D-sub to YpbPr/3 RCA cable). 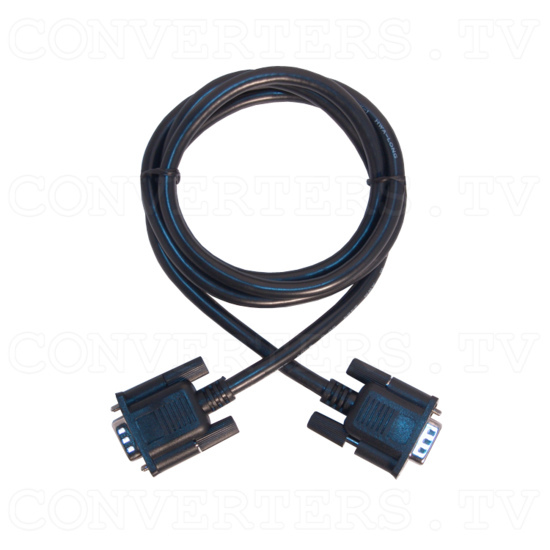 When accepting a PC input use the 15-pin D-sub cable to connect the output of a PC device to the input connector labeled PC/HDTV on the back of CP-251F. 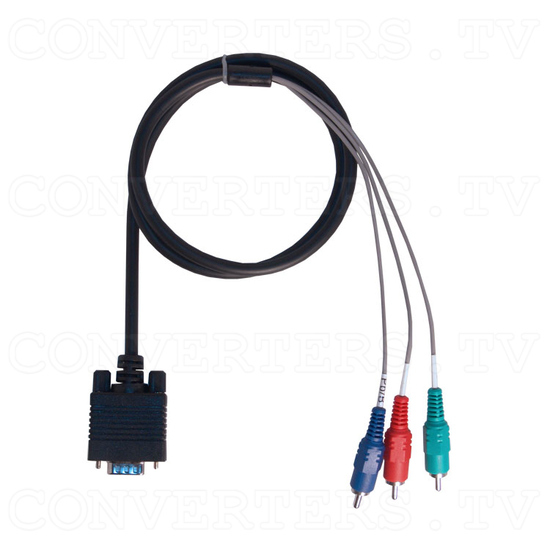 When accepting a HDTV input use the 15-pin D-sub to YPbPr/3 RCA cable to connect the YPbPr/output (or YCbCr) of a HDTV device to the PC/HDTV input connector of the CP-251F. The 1080i output timing of CP-251F is "Pseudo 1080i" (960 x 540p). The standard 1080i is 1920 x1080i w/ sampling rate at 74 MHz; CP-251F's 1080i output is 960x540p which is half of the standard resolution. Therefore, it might not be accepted by some HDTVs.